Paul has worked in the Security Industry for more than eighteen years and established Venture Security in 2006. In this time he has built a wealth of experience in the protection of people and assets. 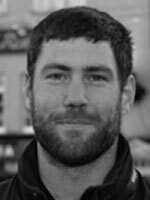 Paul has a BSc (Hons) from the University of Plymouth and is a qualified and experienced trainer. He is an enthusiastic and practical security director with over eighteen years of experience in manned security. He is a strong leader with an acute eye for detail and strives for perfection in all that he sets out to achieve. 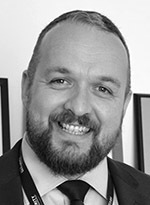 Paul is an active member of the SIA’s Strategy and Standards Group and is a member of the Security Institute. He is currently studying towards his Masters in Security and Risk Management. Outside of Venture, Paul dedicates his time to helping local community groups such as Andover Community First Responders, a local group who respond to medical emergencies, and Andover Businesses Against Crime, a group committed to the reduction of business crime in and around the town. He also enjoys early morning circuit training to stay in shape. Sara joined Venture full-time in 2013 as Office Manager, having come from a marketing and business development background of over eight years in the healthcare industry. Sara’s role has evolved over the years and she is now a Director with a focus on customer relations, business development and marketing, developing and maintaining the success of Venture’s accreditations, overseeing the screening and vetting of new employees, and providing general operational and strategic support to the management team. Michael joined Venture in June 2018 and is working closely with the senior management team to spearhead the company's ambitious expansion plan. 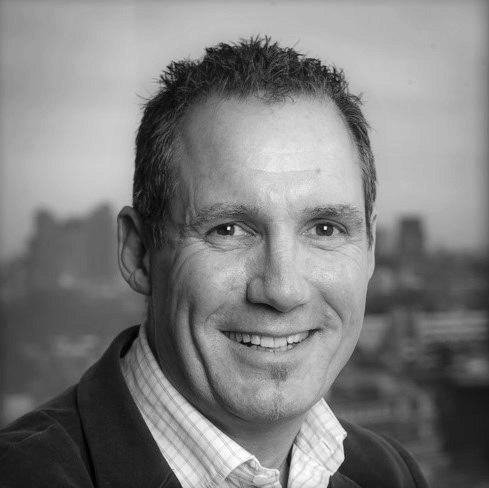 Michael has more than 20 years’ experience in business development. This includes five years spent working as managing director at a regional catering and events firm, and being director of sales EMEA for a hospitality technology company. Alongside his passion for business, Michael is a keen martial artist. He is President of the World Council of Ju Jitsu Organisations and has been director of the Great British Ju Jitsu squad for the last eight years. Duncan has been part of the team at Venture for almost 12 years. Having worked in the events industry his whole career, since 2015 Duncan has been responsible for the event security side of the business. From strategic operational planning, to overseeing all security, stewarding and car park operations during an event, Duncan ensures each assignment runs smoothly. A key part of this is liaising between clients, stakeholders, staff and the emergency services, to ensure safety and security procedures are maintained and that relevant legislation is always enforced. 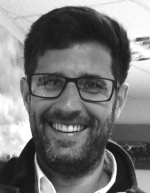 Duncan has a wealth of experience and a deep understanding of event protocols and procedures, having managed security and stewarding teams for both small and large scale events, including green field sites. He holds qualifications in Level 5 Crowd Science and Risk Analysis, Level 4 Spectator Management and is working towards NCRQ Diploma in Applied Health & Safety. Duncan also holds an SIA Licence in Close Protection and CCTV. Having joined Venture Security in 2015 as an administrator, Jenny was quickly promoted to Office Manager. She now takes responsibility for maintaining personnel files, compliance, including the company’s quality management system and accreditations. 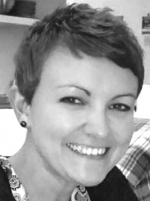 Jenny has worked for large multinational corporations both in the UK and overseas for a number of years. She has worked in Customer Service for over 15 years in several industries, primarily in Financial Services. 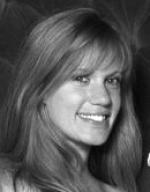 During this time, Jenny has gained a wealth of experience in administrative and quality systems based work. Along the way, she has achieved a number of qualifications, including several in Customer Service. Ben has worked on the frontline for Venture Security in the Security Industry for several years working as a Door Supervisor. During this time Ben proved himself a reliable and valuable asset to the company. Ben joined us on a full time basis in 2017 as an Operations Assistant and is now our Operations Supervisor. Ben is responsible for ensuring that our Mobile Patrols run efficiently and fulfil customer expectations, managing the paperwork, quality assurance systems and safety procedures. Ben comes from a background in electrical engineering and brings with him a practical skill set and a passion for problem solving.